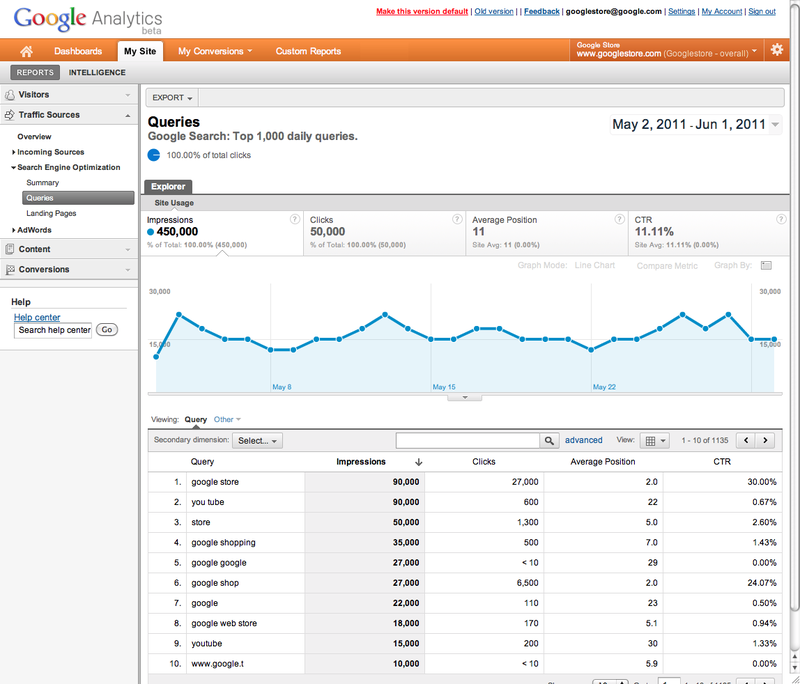 Announced today, Google will be adding “Google Webmaster Tools” data directly to their Analytics platform. This is a big deal for SEO companies as a new section titled “Traffic Sources” and “Search Engine Optimization” with sub-sections displaying data of summary, queries, and landing pages. With this, people will be able to see how many impressions and clicks through, in addition to comparing impressions and clicks to conversions directly from the search results. The company is fully devoted to continuing to enhance their analytics platform. During April, the company updated their platform to let users view real-time data. 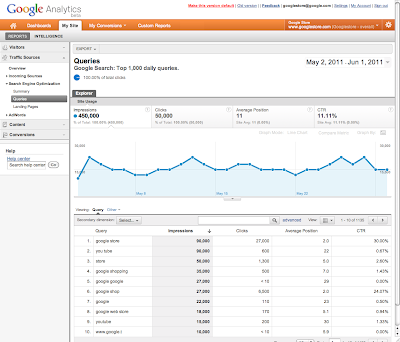 This information was also reported today on the official Google Analytics Blog.